‘I don’t like pesto,’ my friend Vanessa once told me. I was shocked. Other than a picky nine-year-oldand a certain co-worker, I had never met anyone who didn’t like pesto. While for the past 20 years I have resided firmly in the ‘never too much pesto camp,’ I can see where Vanessa could be coming from. 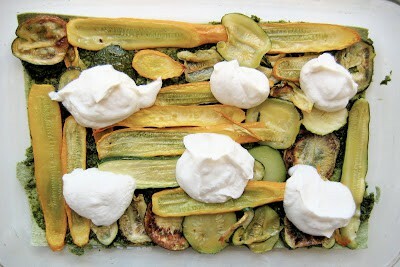 So when I invited her over for dinner one night last summer and unthinkingly made a summer squash gratin with pesto and goat cheese, I had to warn her. Though the gratin had been heavy on the pesto, Vanessa scarfed it like the champ she is, saying she thought the amount was just right. Apparently, she wasn’t that hard to convert. I wanted to recreate said gratin the other day when our box yielded several massive bunches of basil, which Jay duly turned into a pint of the green stuff. But then it turned into this lasagna, and I will tell you why. A few months ago, I’d had big plans to make lasagna. I’d been seeing fresh pasta sheets at Rainbow, and wanted to try them out. I obsessed over a grocery list. I had it all planned out. But when I got to Rainbow, there was no fresh pasta to be seen. I reluctantly bought the dry, boxed stuff, grumbling as I boiled the noodles, rinsed them, tossed them with oil to prevent them from sticking, peeled the stuck-together pasta sheets apart as best I could, and still ended up with a lasagna that was not as delicate as I would have liked. I swore that the next time I saw the precious pasta sheets, I would buy them without a second thought. The next time happened to be when I went shopping for gratin ingredients. 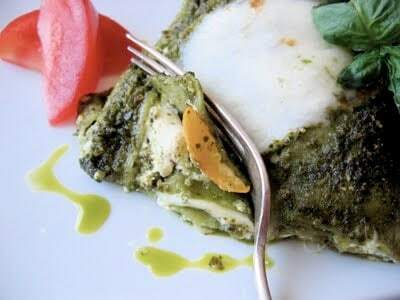 The sheets available were verdant with spinach. So the gratin became lasagna. 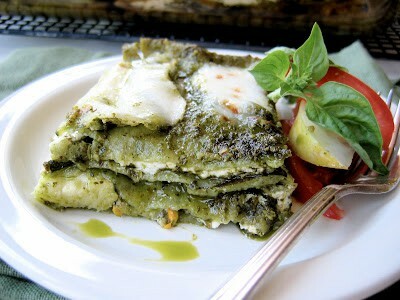 And, like the gratin, the lasagna contained masses of pesto, but, in my pesto-loving opinion, not too much. The dish comes together quickly using fresh noodles, which bypass the boiling-rinsing-tossing-peeling-apart steps. 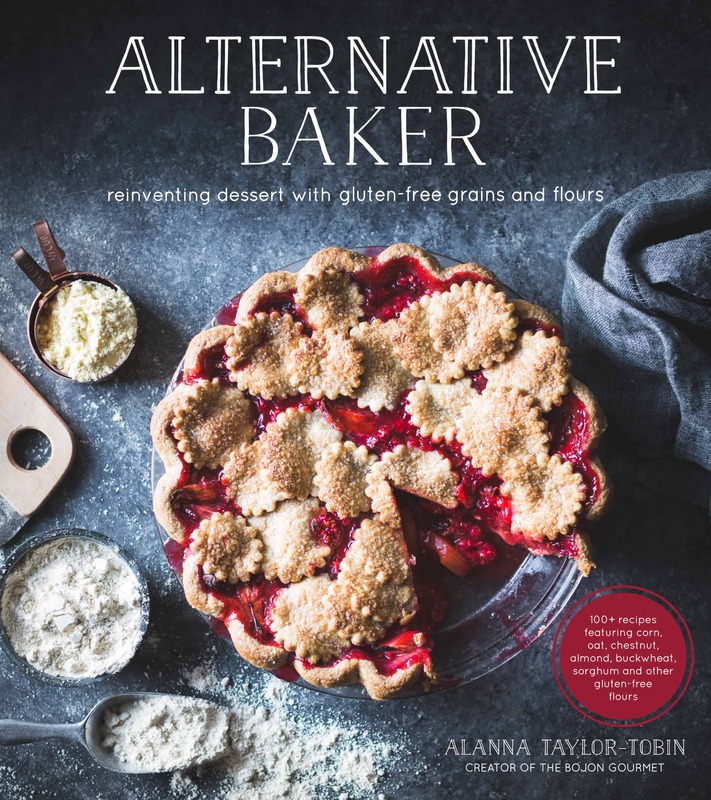 It uses three pounds of oven-roasted summer squash, which, if you have a garden this time of year, you may consider an asset. Rather than slaving over a sauce, I simply combined fresh goat cheese with milk for a sort of impromptu bechamel. 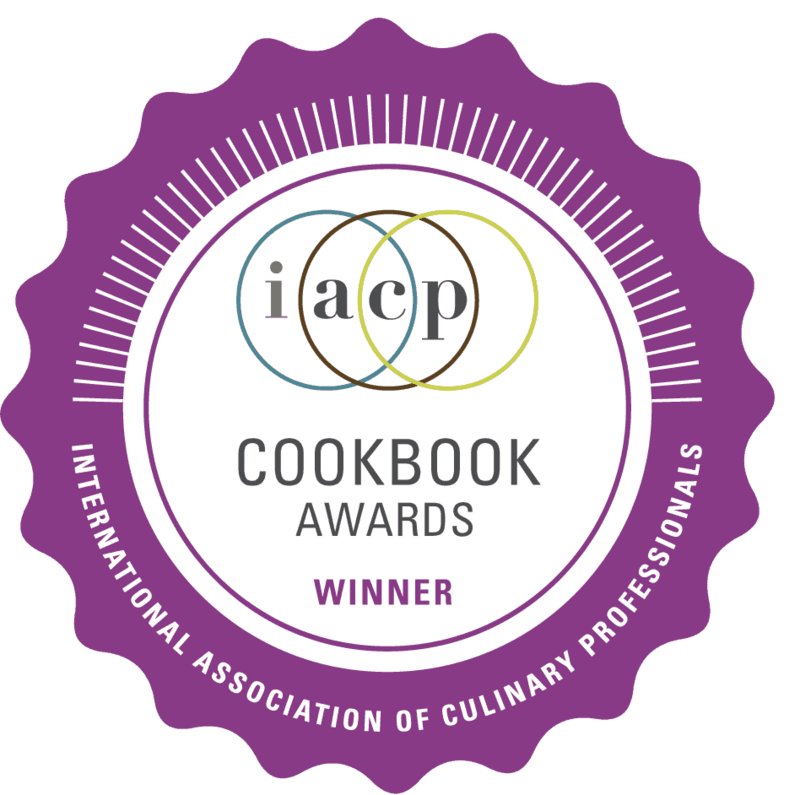 Make the pesto yourself (I’ve included a favorite recipe below), or use a good-quality store-bought brand; Cibo makes a tasty option that gets the proportions right. I won’t judge. 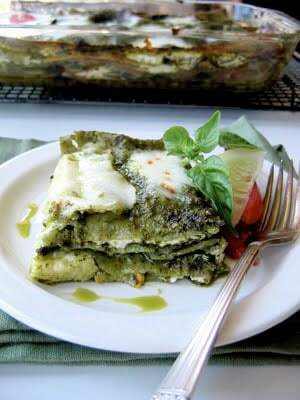 If you’re a fan of pesto, I hope you will give this lasagna a try. 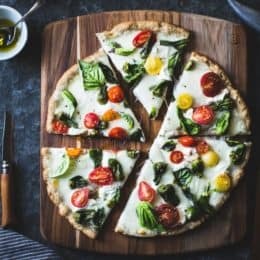 And if you’re a self-proclaimed pesto hater, I hope that someone else will make this for you, and that you will thus be converted. 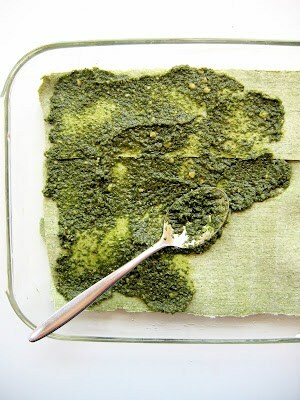 If you are super badass (or just have a lot of time on your hands) feel free to make your own spinach pasta sheets. If you’re at the opposite end of that spectrum (the time one, that is), use store-bought fresh pasta and/or pesto (Cibo makes a good version). If you can’t find fresh pasta sheets, I’d wager that typical boiled noodles would do the trick. (No-boil noodles might require more liquid than this recipe contains, though.) 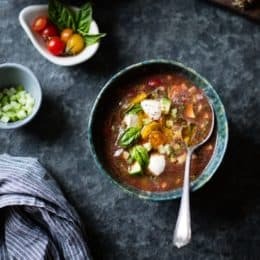 I’m guessing that a good-quality ricotta and some extra grated parmesan could stand in for the goat cheese here, and that other roasted vegetables, such as eggplant or bell peppers, would be tasty additions to the summer squash. Position two racks in the upper and lower thirds of the oven and preheat to 450ºF. 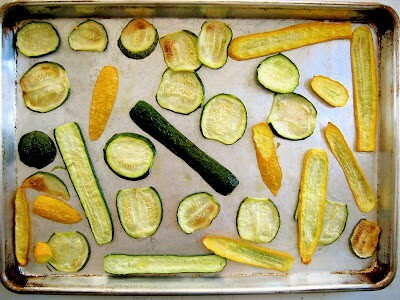 Divide the sliced squash between two oiled sheet pans. 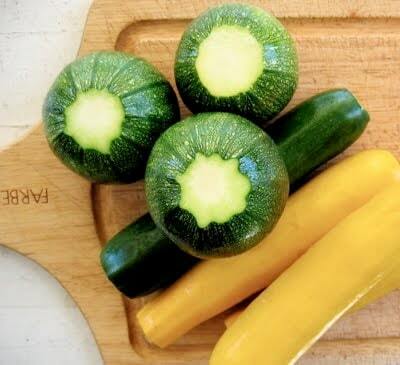 Toss with the olive oil and salt, then arrange in a single layer (the squash may overlap a bit, but will lose volume as it bakes). Roast the squash, rotating once halfway through, until tender and beginning to brown in places, about 25 – 30 minutes. Let cool until handle-able. 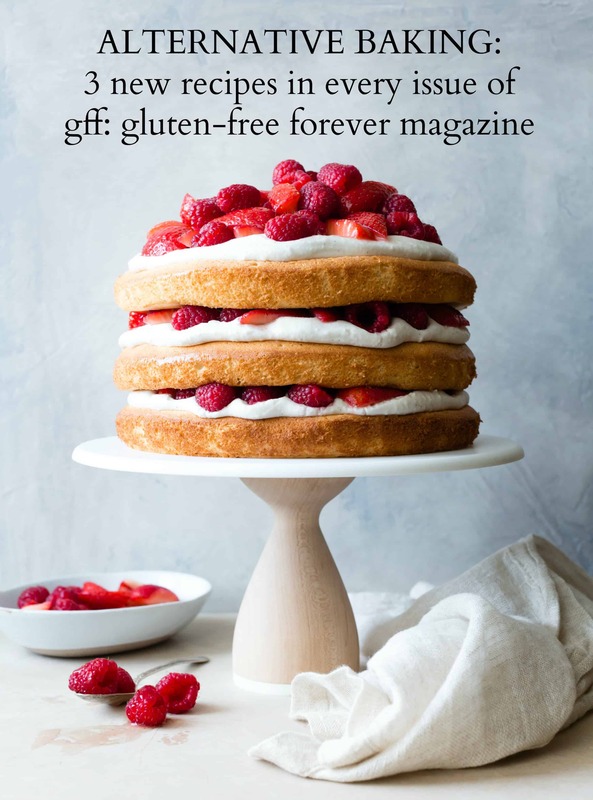 Reduce the oven temperature to 350ºF. Meanwhile, place the goat cheese in a medium bowl, and gradually add in the milk, stirring until smooth. Stir in the salt and pepper. Lightly oil a 9×13″ pyrex baking dish. Lay a single layer of pasta sheets in the pan, cut to fit if necessary. Spread the pasta with 1/4 cup of pesto. Arrange 1/3 of the roasted squash over the pesto in a single layer. Dollop 1/3 of the goat cheese mixture over the squash and spread evenly. Lay 1/4 of the mozzarella over the goat cheese. 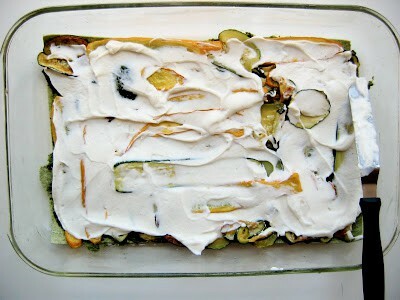 Arrange another layer of pasta sheets over the mozzarella, and make 2 more layers just like the first (pasta, pesto, squash, goat cheese, mozzarella), for a total of 3 layers. 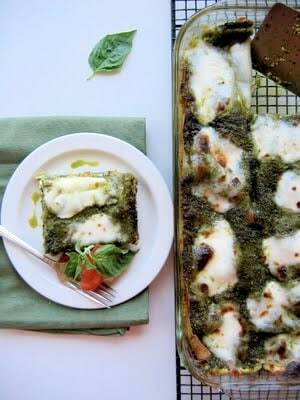 Add a fourth layer of pasta sheets over the mozzarella, and spread with the remaining 1/4 cup of pesto. Reserve the remaining 1/4 of mozzarella. Cover the pan tightly with aluminum foil. Bake the lasagna at 350ºF until bubbling and the pasta is tender and browned around the edges, about 45 minutes. Remove the foil, lay the remaining mozzarella over the top, and place under the broiler (watch carefully!) for a minute or two to melt and brown the cheese. Let the lasagna rest for 5-10 minutes, then cut and serve. 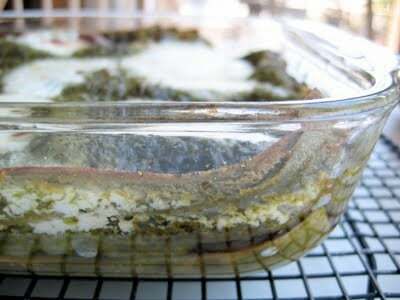 The lasagna keeps well, refrigerated, for up to several days; reheat before serving. 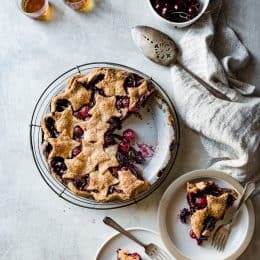 This recipe comes from a friend’s late mother; I think she got the proportions just right. 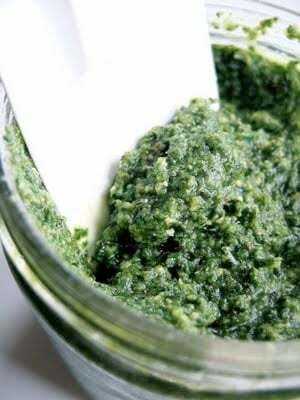 If making pesto to store for a longer period of time, you can blanch and shock the basil first before blending it with the remaining ingredients; it takes a bit more work, but you end up with a bright green spread that stays this way for up to a week in the fridge, and longer in the freezer. Covie says you can add up to 6 tablespoons of butter; I’ve never tried it, but perhaps I will next time. You will end up with more pesto than you need for the above recipe; toss it with pasta for a quick lunch, spread it on a sandwich or dollop it over a fritatta. Optionally blanch the basil in boiling water for 30 seconds, then plunge into an ice bath. When cool, squeeze out all the water. (Or leave the basil fresh – see headnote.) Place the basil, blanched or not, in a food processor with the pine nuts and garlic, and puree until fairly smooth, adding some of the olive oil if you need to help the mixture blend. Add the cheese and enough of the olive oil to make a thick paste, then season to taste with the salt. If storing the pesto, place it in a jar and cover with a thin layer of olive oil (this will help prevent it from oxidizing) and place in the fridge for up to 1 week, or in the freezer for up to several months. Love it! I have 5 cups of frozen pesto so this will be a great use for some of it.